For most people, bathroom is more than a place where they merely freshen up. Lying down in a warm bathtub often is a time where you relax and introspect. Of course, the theme of the bathroom must be such that it inspires comfort. A stained glass window can spark life into this part of your abode. The beautiful colors will bring in a rich sense of artistry into this space. 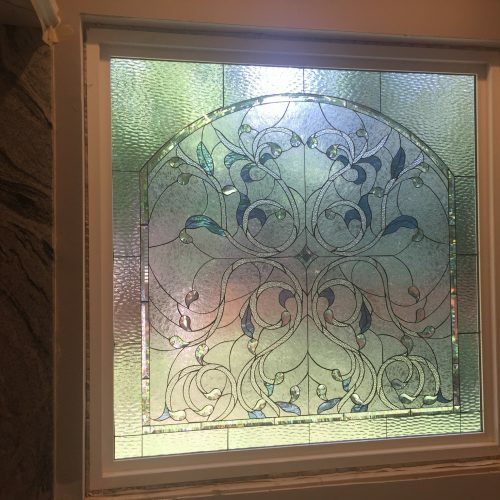 Our handcrafted bathroom stained glass windows come in a variety of designs for themes that range from the contemporary to the days of yore. We bring you stained glass partitions, cabinet doors, and windows with infinite of possibilities. 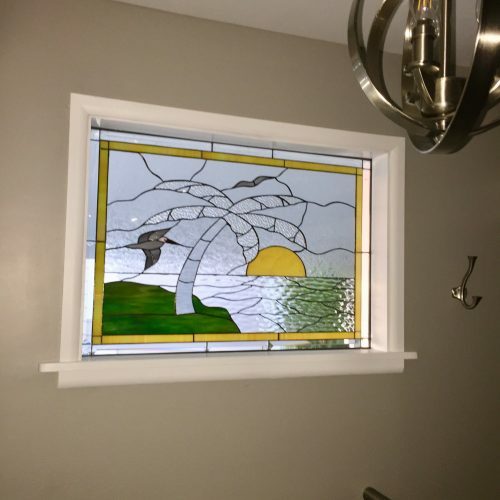 Beautiful palm tree and seagull window installed in bathroom for natural light and beauty! 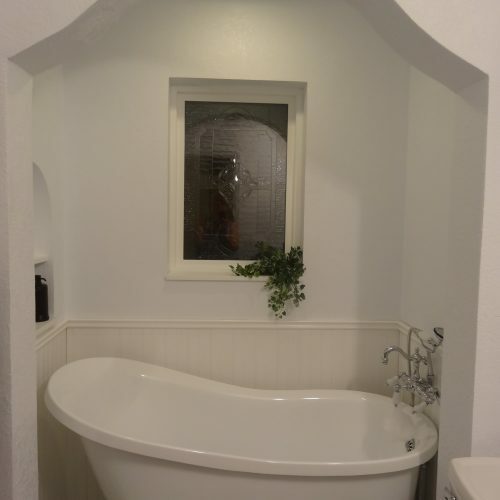 Our stained glass windows and fittings bring a combination of aesthetics and convenience to your bathroom. We transform your bathrooms into spaces where you can truly relax and unwind. 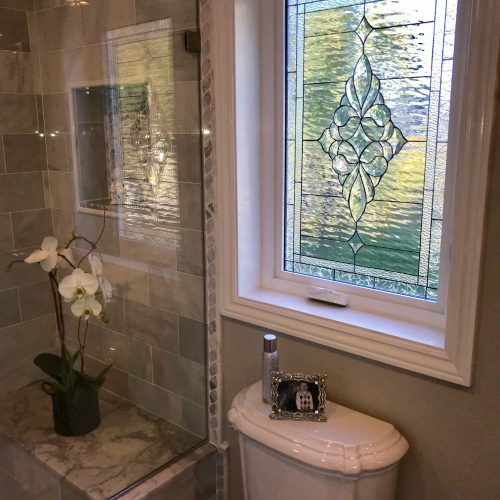 Why are our Stained Glass Windows the Best Option for Your Bathrooms? Unique designs just for you: You’ll never find a bathroom that looks like yours when you choose us. The style and individuality that our handcrafted stained glass windows bring are yours only. Maintain your bathroom hygiene with ease: With the absence of huge curtains and awkwardly shaped blinders on your bathroom windows, maintaining a healthy bathroom becomes a breeze. 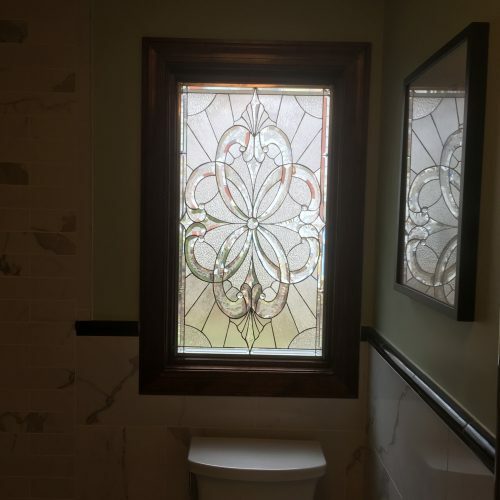 Eco friendly solution: If you’re a “green” person, the stained glass bathrooms that we bring you are ideal. They eliminate the need for wooden frames and also lessen the need to have the lights on all the time. Water resistance at its best: We don’t need to explain you how glass is naturally resistant to water damage. 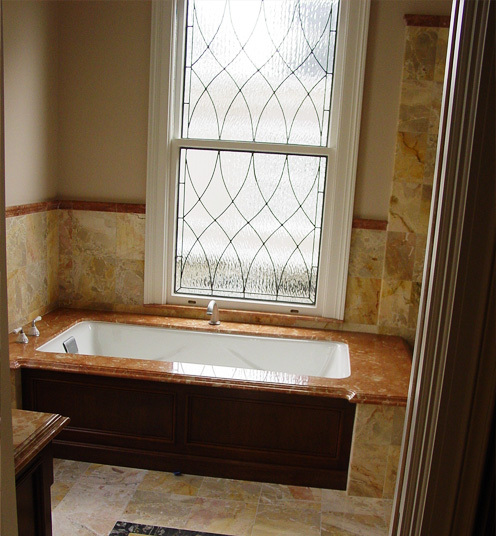 This feature makes stained glass an ideal option for bathrooms. 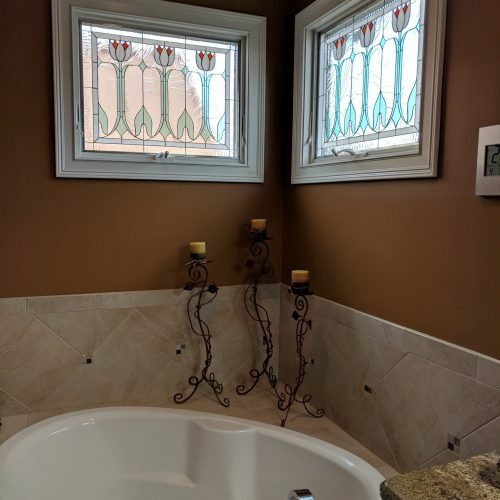 The stained glass windows in your bathroom will pave way for adequate natural light negating the need to switch on the lights. Just imagine the shimmering reflection of sunlight on the glass partitions, enclosures and fixtures. With artistic stained glass items occupying most of the space in the bathroom, this is one space you’ll really love. Curtains and blinders are not only expensive but also warrant constant maintenance. 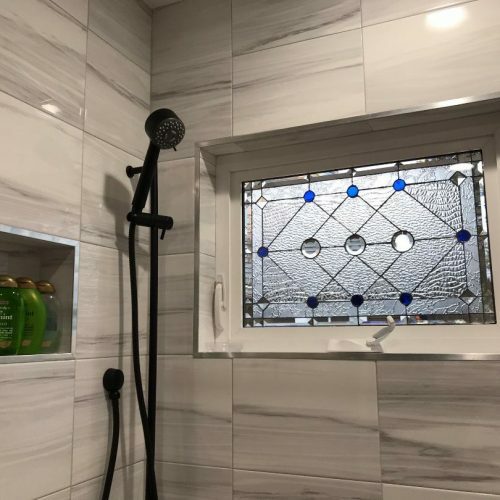 The only way to make do without them is to opt for stained glass windows in your bathroom that bring you total privacy while not compromising on beauty. The brightness is an added benefit. There simply cannot be a better way to light up your bathroom. 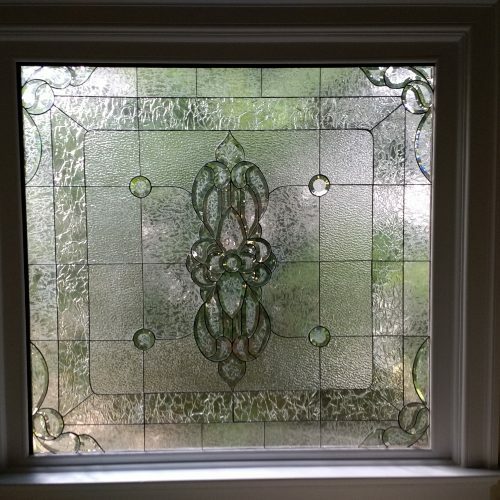 Our handcrafted stained glass items are just what your bathroom needs. Feel free to get in touch with us at 619-454-9702 or get a free quote.